Abu Dhabi. This year marks the 800th anniversary of the visit of St. Francis of Assisi to the Sultan of Egypt. At the same time, the Catholics of the United Arab Emirates await a very special event, the visit of Pope Francis, which will take place from February 3 to 5, 2019. Not everyone knows that the presence of the Capuchins is strong in this region. 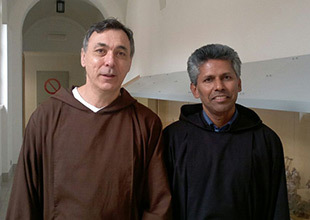 The pastoral care of the countries of the Arabian peninsula is entrusted to the Capuchin Order as ius commissionis. The General Custody of Arabia counts seventy-five friars from twenty circumscriptions. They serve in the two vicariates of Northern and Southern Arabia that together cover the seven countries. Apart from the Mass with the faithful, the Pope’s itinerary also includes a visit to the grand mosque of Sheik Zayed and an interreligious meeting in Abu Dhabi. 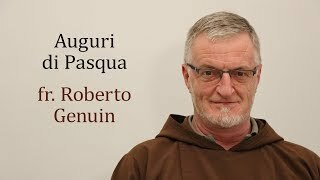 For the occasion we would like to present, by means of multimedia, a little of the reality of the Church in this part of the world, which is probably not well known. Though the faithful in this region are from all over the world, the majority are from India and the Philippines. Notwithstanding the particular challenges of the place, the young people are full of enthusiasm. The Masses, which thousands attend and at which there is a large contribution of lay volunteers, reveal a lively and dynamic reality. In these weeks before the Pope’s visit, apart from the regular services for the Christmas season (up to twenty-three Masses a day in thirteen different languages in the parishes of Abu Dhabi), there have been two other special events. The first was the blessing of the cornerstone of the new parish church in Ruwais, in the western part of the UAE, on December 29, 2018. The second was the priestly ordination, on January 4, 2019, of the deacon Abishai Vase, an Indian who grew up in Dubai. We invite you to watch the interview with Bishop Paul Hinder and the other videos and to check out the photo galleries, which document the Christian reality in this part of the world and the places that the Pope will be visiting.